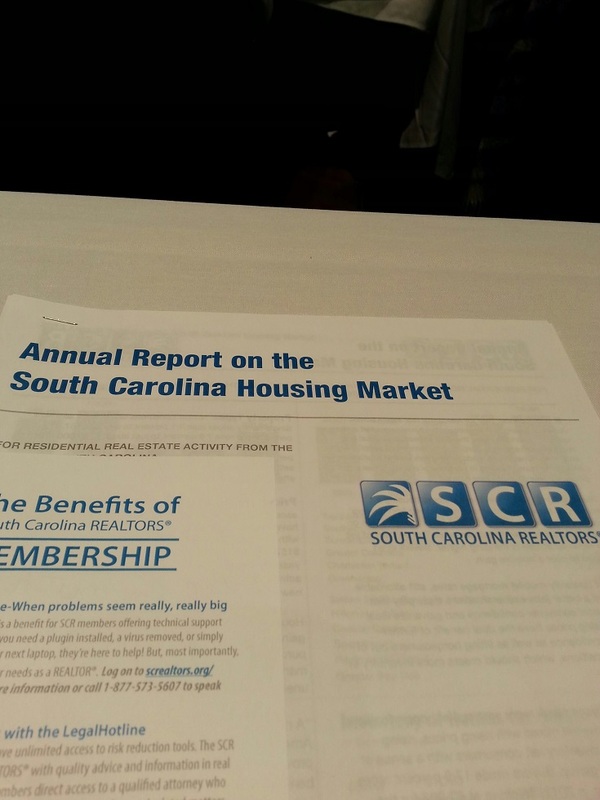 Yesterday I the pleasure of joining South Carolina REALTORS® from across the state for SC Lead 2014 conference in Columbia where Joey VonNessen of USC presented the Economic Outlook for the Palmetto State. South Carolina leads the US in economic growth and several indicators point to increasing employment opportunities while wages in SC for now remain sluggish. 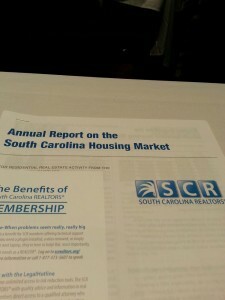 The annual report on the SC Housing Market shows the median sales price at a 5 year high of $157,500 with many areas meeting most of their declines. In the Myrtle Beach area median sale prices rose 4.7% to $146,500 while average sale prices rose 5.7% in 2013. Increasing price trends are expected to continue in our area in 2014 but with limited wage growth home affordability may become an issue for entry level buyers as prices increase over the next year. Bottom line – home affordability is as good as it gets today and if you are in the market to purchase a home now might be the best time to make your move. Over 20 area restaurants will be serving up great food at the 2nd Annual Taste of the Inlet January 26, 2014 at Inlet Square Mall from 6:15 to 9:00 PM. The Taste of the Inlet is an excellent opportunity to come out and show your support with all funds raised during the event going to support Murrells Inlet 2020’s work in our community. Murrells Inlet 2020 is a non profit organization that has been working since 1997 to revitalize the community and protect the Murrells Inlet estuary. No doubt the work the group has accomplished with support from residents can be seen throughout our area. In 2013 the Jetty Walk at Morse Park is another major project that we can all be proud of and offers some of the best views of Murrells Inlet. Tickets can be purchased at Conway National Bank – Murrells Inlet Branch, Lee’s Inlet Apothecary in Murrells Inlet, Booty’s or the Murrells Inlet 2020 office. Hope to see you there!